← Hamilton wins a thriller! Jonathon Rea kick started his World Superbike title campaign with a hard fought victory in the opening race of the day at Assen. The Irishman battled at the front throughout the race and did enough to see off a spirited fight from Max Biaggi with championship leader Carlos Checa third. The race started with Checa converting his pole position into an early lead but the start of the day came from Biaggi who shot from sixth to second on the run down to the first corner with Rea slotting into third position ahead of Troy Corser and Eugene Laverty. From the opening moments of the race it was clear that Rea was intent on challenging for the win and as early as the second lap he was looking racy, and impatient to find a way past Biaggi who successfully rebuffed numerous attempts from Rea to take second position. The expectation prior to the race was that if Checa could get a clear track in front of him he would simply run away from the field and take a dominant victory but the race played out very differently. The largest gap that Checa opened over his pursuers was just half a second and the third lap it was perfectly clear that he would face a stern test from Rea who had muscled past Biaggi. On the next lap Rea pushed past Checa to take the lead into turn one; he would never be headed again. Checa, using the harder compound tyre, was clearly hampered in the opening stages. His free flowing style was curtailed by battling with the rest of the front runners and when Biaggi barged past it looked as though Checa would freefall to the back of the lead group. With one Irishman at the front another, Eugene Laverty, was hell bent on joining the fight for the victory. Laverty started slowly but gradually moved to the front of the chasing pack with a series of daring moves around the outside at turn four. 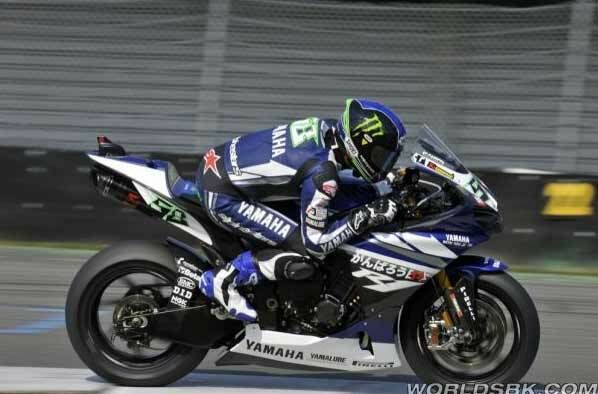 The Yamaha rider looked well placed when on lap seven he passed Checa for fourth and set about chasing down the impressive Tom Sykes. Sykes, riding for Kawasaki, set a series of fastest laps in the early stages but it clearly had an adverse effect on his tyres and by the end of the race he finished 14th, the last classified finisher. At half distance, lap 12, Rea and Biaggi had opened a commanding lead with Laverty third, 1.5s adrift. It looked like Laverty was ready to mount a challenge but within a handful of laps he mysteriously dropped off the pace and fell back into the clutches of Checa, Corser, Marco Melandri and Michele Fabrizio. Fabrizio, riding for Suzuki, has had a torrid start to the season but was very impressive in this race and harried Checa and Melandri for the final spot on the podium before falling back to fifth at the flag, just behind Melandri. With five laps remaining Checa was the fastest man on the track and had closed to within 1.5s of the leaders. It looked like Checa had, once again, judged his race and his tyres to perfection. 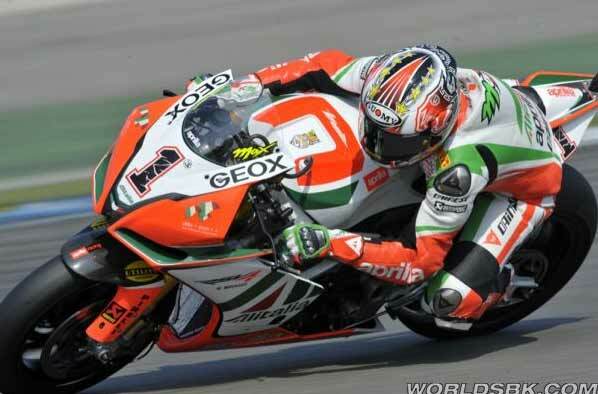 Rea and Biaggi realised how close Checa was and upped their pace to match the championship leader. 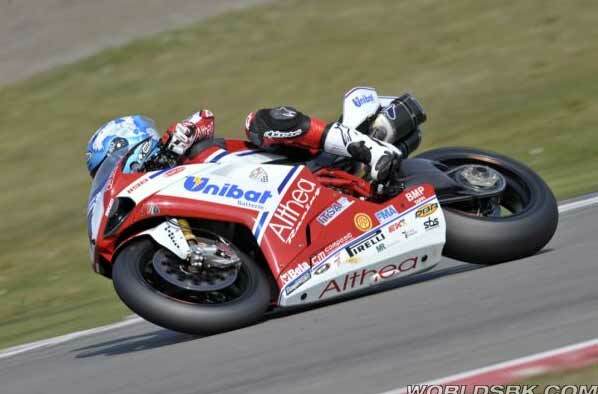 The message was received by Checa and the Althea Ducati rider cruised to the finish while leaving Rea and Biaggi to battle it out for the win. Rea was the first to show his true speed and opened a gap of one second with two laps to go. Just when it seemed that Rea had done enough to take the victory Biaggi sprang into life and closed to within a handful of bike lengths. A grandstand finish was in store but ultimately Rea was mistake free and Biaggi never had an opportunity to force an overtaking move on his rival. 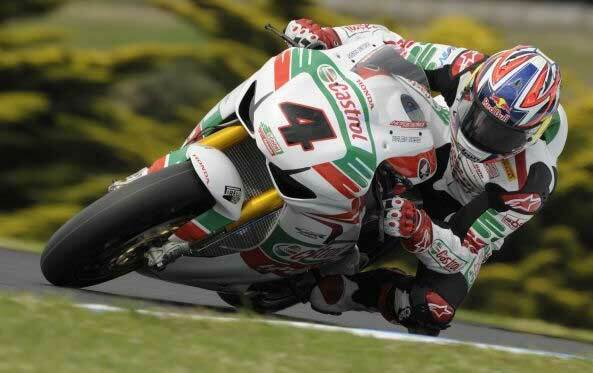 This entry was posted in Race Reports, World Superbikes and tagged Assen, Carlos Checa, Castrol Honda, Eugene Laverty, Marco Melandri, Max Biaggi, Superbike World Championship, Tom Sykes, Troy Corser, World Superbikes, WSBK. Bookmark the permalink.